I like the star better, but the triangle would look better if it were lower in the circle. Lovely! I think I like the start slightly better but, in all honesty, I like them mismatched! :) Thanks again for playing along! If you want, you can grab the link up code to add to your post. These colors are beautiful. I like the star best too, but as Sarajo said the mismatched set is really fun. I personally like the mismatch...I tend to be very fond of mismatch, asymmetrical, slightly off and the like. 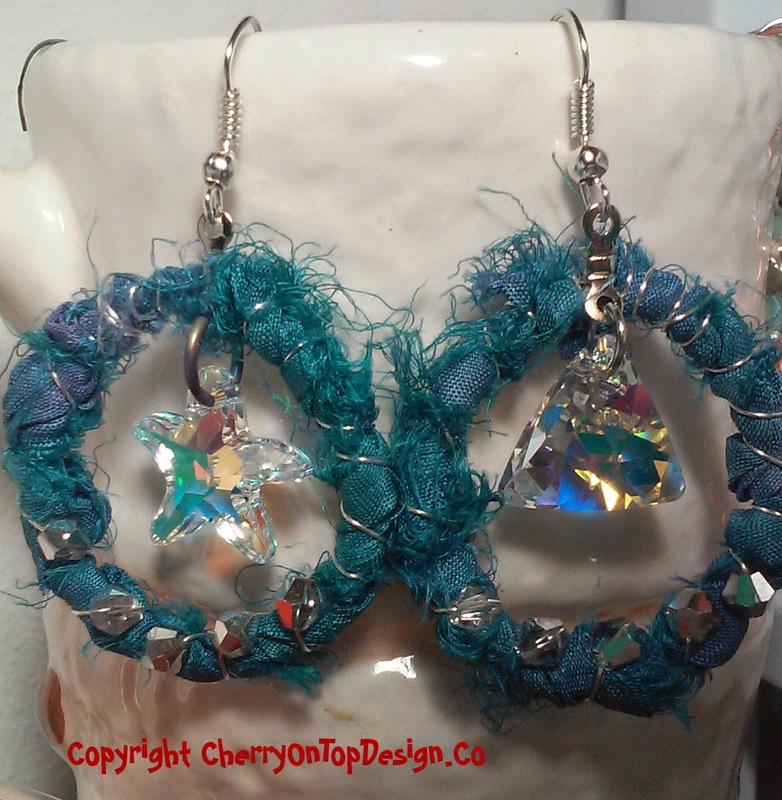 ;) Kudos to another week of gorgeous earrings! Theses are lots of fun! Love the color and glitz.